The Anneke bracelet by Glamadonna is a dazzling yet supremely elegant design to liven up the wrist for any special occasion. This classic bracelet makes the perfect finishing touch to wedding dresses of all styles, black tie gowns, cocktail dresses, race day outits and more. I.. The Daphne bracelet is a fantastic, petite-sized dress bracelet that can be worn to any number of bridal events or special occasions. 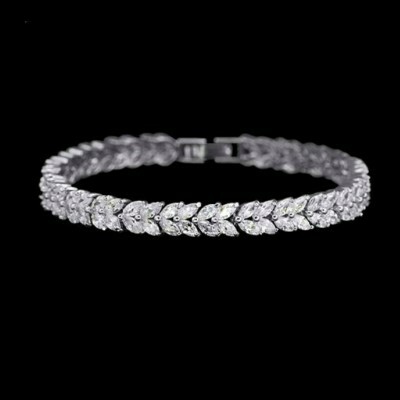 This is a sophisticated design that mimics the look and feel of real diamond jewellery. 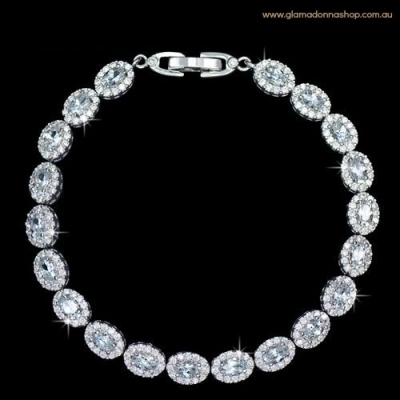 Sparkling AAA-Grade cubic zirconia stones (simulated diamonds) ar.. 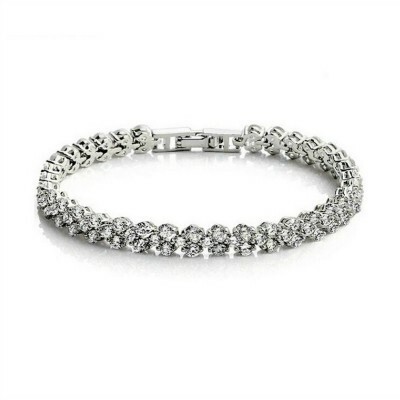 The Evangeline bridal bracelet is a dainty, vintage-inspired bracelet that will add the look and feel of real diamond jewellery to your wedding day style. This premium bracelet features a delicate oval setting that extends all the way around the wrist. Each section has a main .. The Jasmine bridal bracelet is a beautiful teardrop-shaped bracelet that is classic and feminine. 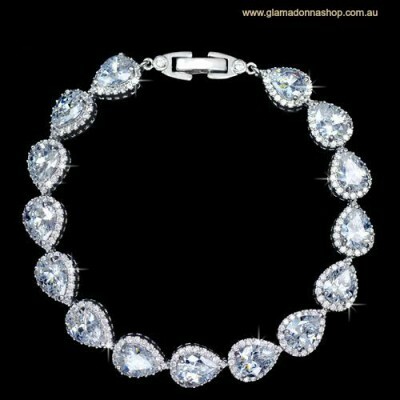 Features sparkling teardrop-shaped stones that are framed with a a fine halo of smaller stones around the edge. This bracelet is adaptable to vintage or contempor.. The Aisha bracelet by Glamdonna is a sparkly, eye-catching special occasion bracelet that will enhance any dressy outfit. 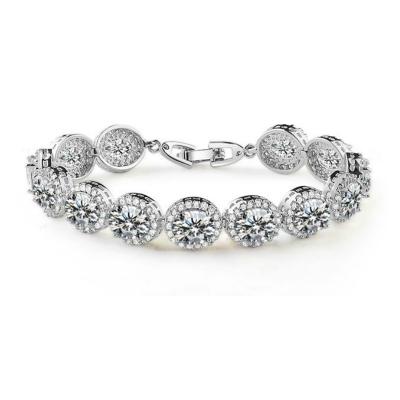 Featuring sparkling czech crystals in smokey grey, this bracelet catches the eye and dresses up your wrist in a less conventional way. Perfec..
Shop our collection of small sized bridal bracelets designed specifically for brides with petite wrists. 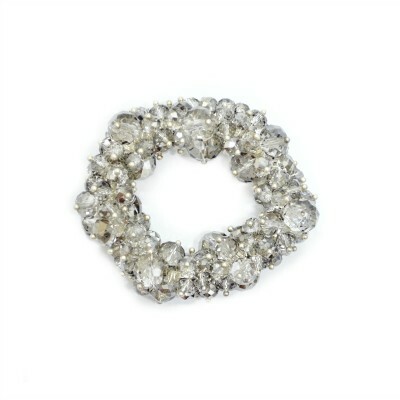 We have a variety of small sized bridal bracelets available, from delicate vintage-inspired bridal bracelet, through to more striking and sparkling bracelets for the red-carpet inspired bride.